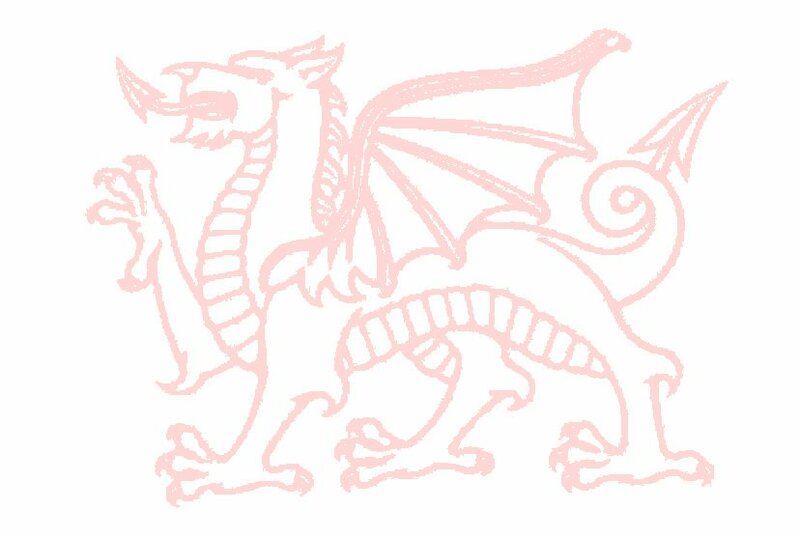 The Padarn Railway was a 4 foot, 1.2 metre gauge line built to connect the Dinorwic quarry near Llanberis to a purpose built port known as Port Dinorwic. The 2 foot gauge slate wagons were carried 4 to a wagon on specially constructed transporter vehicles. At the Port Dinorwic end of the line the smaller wagons were sent down an incline to the quayside. As well as slate traffic, the line operated a quarrymen's passenger service. The line replaced an earlier tramway and opened in 1842, closing in 1961. Very little of the rolling stock and none of the three locomotives survived the scrapman. The three locos used on the line were Dinorwic, Pandora (renamed Amalthaea in 1909) and Velinheli built by the Hunslet Locomotive Co. Leeds. 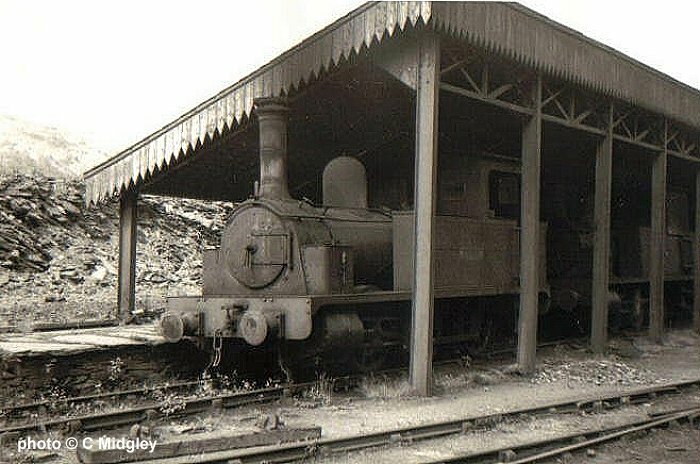 Two of them are seen here in the station at Gilfach Ddu, Dinorwic awaiting scrapping in 1962. 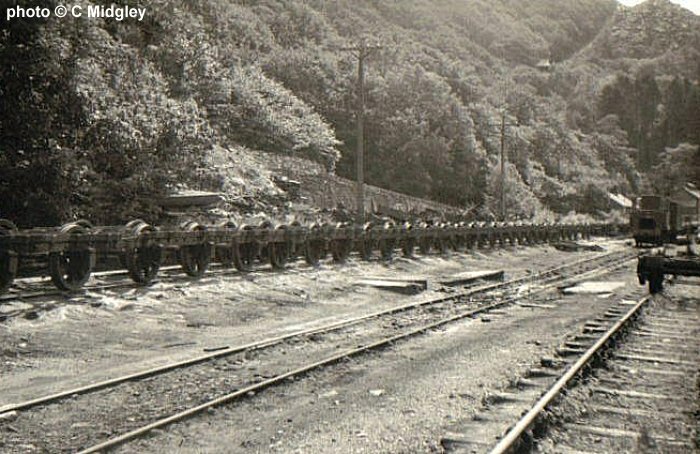 A long line of four foot gauge transporter wagons at Gilfach Ddu in 1962. A close up view of a transporter wagon. 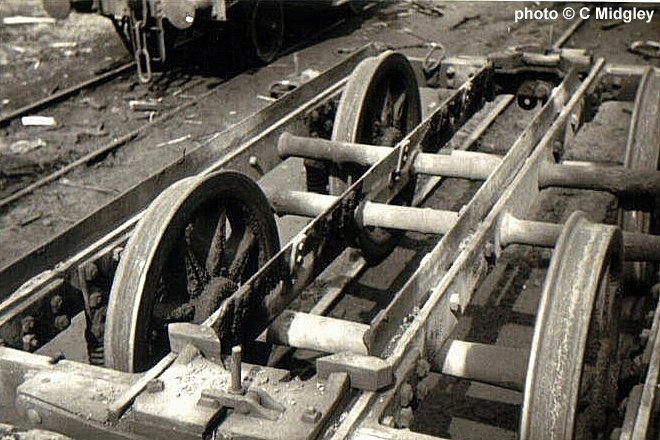 These wagons carried four of the two foot gauge quarry slate wagons. The loading dock for the transporter wagons at Gilfach Ddu. 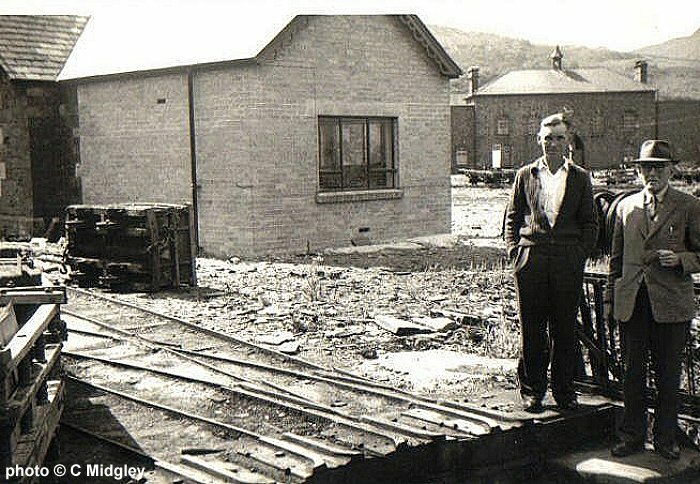 What is now the Welsh Slate Museum can be seen in the background. Loading a train for Port Dinorwic required each wagon to be positioned and loaded individually. 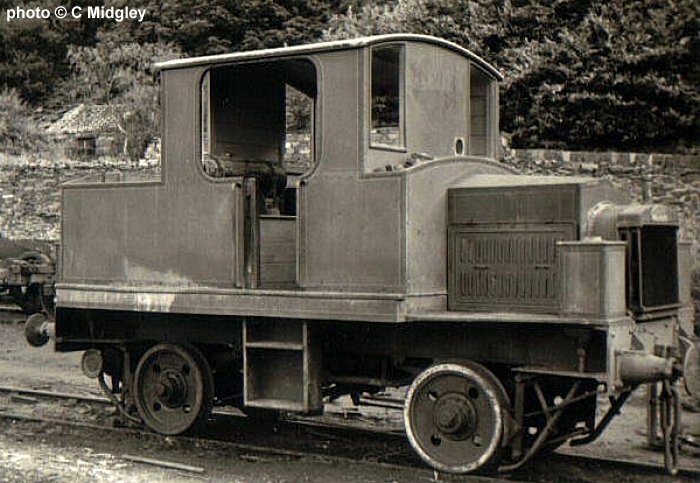 This unique machine was built by Hardy Motors Ltd in 1925 for permanent way duties on the Padarn Railway. It is believed to have seen very little use and was scrapped not long after this photo was taken in 1962. 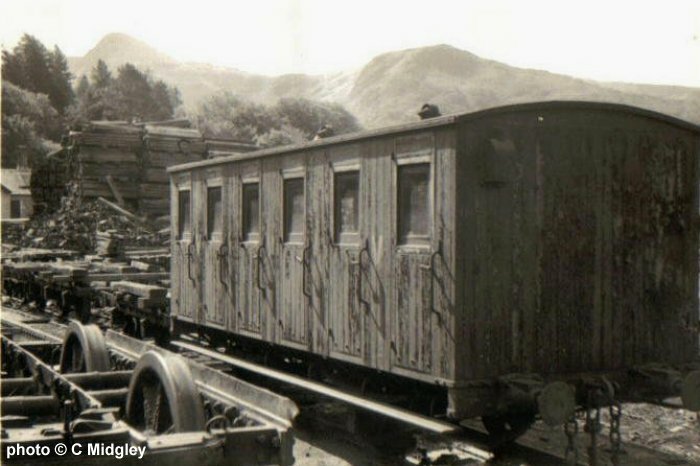 A quarrymens carriage of the Padarn Railway awaiting scrapping in 1962. 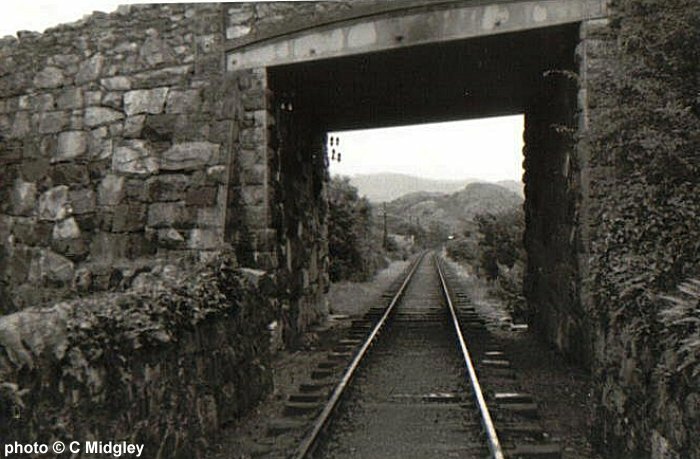 The Padarn Railway near Pen-y-Llyn in 1961.